1. The Bill proposes three powers, the widest in modern constitutional history, to allow the government to legislate directly. 2 In effect, minister will be able to make, amend, and repeal law, by fiat. To be mini-legislatures. 3. Clause 7(4): “Regulations under this section may make any provision that could be made by an Act of Parliament”. 6. And what is “any provision that could be made by an Act of Parliament”? 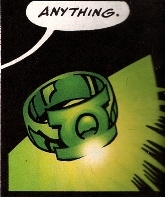 Like power of Green Lantern’s ring, anything you can imagine. And what do our guardians of freedom in the media do in response to this? Watch the nationalist attack-dogs go for Gina Miller in the Express. In echoes of their “Enemies of the people’ headline todays front page denounces a woman giving Parliament a vote over the executive here: “Who Voted for Gina Miller? Nobody!” Shrieks the Express. There is a wave of xenophobia sweeping Britain. As the DACA cancellation hums and haws its way across a desolate America, as Bannon talks of people “self-deporting” the same shift is happening right here. Today the government equalities office is to examine evidence that EU nationals are being illegally prevented from renting or buying properties, getting jobs and booking holidays. Nick Gibb, the Equalities Minister, said he was responding after Labour and the EU citizens’ rights campaign group the3million sent him a dossier of dozens of examples of job, housing and other adverts, many of which invite applications only from those with UK or Irish citizenship. See “Europeans Need not Apply”. The Defence Secretary Michael Fallon told Andrew Marr on Tony Blair’s newfound desire to end freedom of movement: “It’s a pity he didn’t think of that when all these countries were admitted to the EU on his watch…”. So now we’re in the space where a government minister claims it was a mistake to extend EU to (then) new democracies after fall of Berlin Wall. The idea of Europe is being repudiated and the history of European peaceful expansion is now being derided. It is of course unimaginable. “The bill as drafted contains provisions for the wholesale transfer of powers from Brussels to Whitehall and Westminster – including in devolved policy areas such as farming and fishing. Conservative ministers attempt to downplay this by claiming, somewhat unconvincingly, that their intention would then be to re-devolve powers – but only some and only those which they saw fit to. That approach utterly demolishes the principle outlined by the late Donald Dewar in framing Holyrood’s remit, which made clear that all powers were to be transferred to Edinburgh other than those explicitly reserved to Westminster. The Tories’ Brexit proposals, by suggesting that devolved powers which are currently exercised at European level should be repatriated to London and not Scotland, ignore that principle. Indeed they breach it, meaning that the founding basis of the Scottish Parliament, endorsed in a nationwide democratic vote, would be eroded. The further effect of the Conservatives’ approach is that if powers over things like agriculture are not repatriated from Brussels to Scotland and the other devolved governments – as they should be – then it will prevent Scottish ministers from making any changes to current EU law in these areas, while Westminster will be able to change the law for England. We are in constitutional stalemate, and yet, as the Supreme Court ruling made clear, ultimately, the Scottish parliament does not have authority. Efforts to clarify or challenge this have been met with vague excuses and deception. This attack on democracy is going to be expensive. They are avoiding spelling it out but they can only do so for so long. Taking Back Control was billed as a peasants revolt, a popular reclamation. English tabloids called it ‘Liberation”. Today it is exposed for what we knew it to be: the centralisation of power, the hardening of oligarchical control in the hands of a minority government on the basis of a vote by 37% for Leave and against the will of the Scottish people. When a single word like “normally” can completely change the meaning and spirit of legislation to be the exact opposite of the intended purpose then people are only going to find out what England’s Tories have been up to when they are brought to court. This is not democracy by any stretch and now,more than ever,we need Scots law and the European courts to protect our rights because England’s Tories won’t. It is utterly disgraceful that it has taken an individual citizen to challenge these Tories and hold them to account in the English courts. I am sure the Tories will ensure that this cannot happen again. Where was the lauded mother of all parliamentary democracies when all these shenanigans were going on? Imposing English law (Henry VIII) on Scotland,against our democratically expressed wishes,fully exposes the colonial nature of the UK with the largest nation imposing it’s will on the others. Consent isn’t required,just submission as far as they are concerned. You’ll have had your devolution then. The only way to move forward is independence,NO equality,NO respect,NO consideration.Debts imposed on Scotland that have nothing to do with Scotland,on the other hand Scotland,s Resources stolen and wasted.In order to line their pockets even more they use a dogs breakfast (something called Brexs…t). With a massive majority in the ENGLISH parliaments just to safeguard their wants they now have E.V.E.L. A women not elected as P.M.assumes this title after more Tory infighting and triggers article 50 !!! also in this same party they have 20 or 30 M.P,s under investigation for misuse of election funding some how this is dropped?? could this same party have a majority? ?All business that affects us is conducted in secret much without parliamentary scrutiny. They sell arms to anyone,is the money used for running any of the 4 countries,or does some find it,s way into Tory funding for referendums and electioneering?? I think for myself when it comes to a vote and not what anyone else thinks,Scotland has been run better with decreasing revenues over last 10 years than the decades that have gone before,Scotland is NOT a colony,our young people to die or be maimed in conflicts,nor do I see the point in policing the world or another empire (get over it ! )We should leave Scotland in better hands for young people,out going,friendly and responsible,with our culture and language in tact,leave the cringe over lack of culture to others. The vote was on the “principle” of the Bill. Let us keep cool and reserve judgement until it is amended at the next stage – and before it finally passes the legislative process. Meanwhile, I presume all the remainers would be quite happy to continue to live in a future unchanged society ruled by Mrs Merkel and the law of Brussels. Given the alternative – yes. It’s the principle that’s the problem and there’s not going to be nearly long enough for the bill to be picked apart sufficiently in the time allowed at the third stage. But if you think the EU is a bigger threat to our democracy than Tory ministers with the power to make, change and abolish laws without the inconvenience of having to get them voted through parliament, then I suspect there’s little point trying to convince you of that. Some of us WB have not forgotten that Scotland voted to remain in the EU, did not vote in a Tory government, and resent the imposition of ministerial diktat against their democratic wishes. So we should just put our trust in the UK government – which with its royal prerogative powers wanted to force through Brexit without parliamentary scrutiny, until it was dragged there by the High Court and the Supreme Court, and which is now going to use other royal (Henry VIII) powers to jam the legislation through. Sorry Redgauntlet if I got up your nose. This is now the first time I ever heard that my beloved Fife was in the “sleepy North East”. Maybe the Kingdom has shifted since I got Higher Geog back in the 1950s! You know I can read five European languages? You know how that has enriched my life? You guys are just the worst….you should move to England….they would have more time for you there than me…. 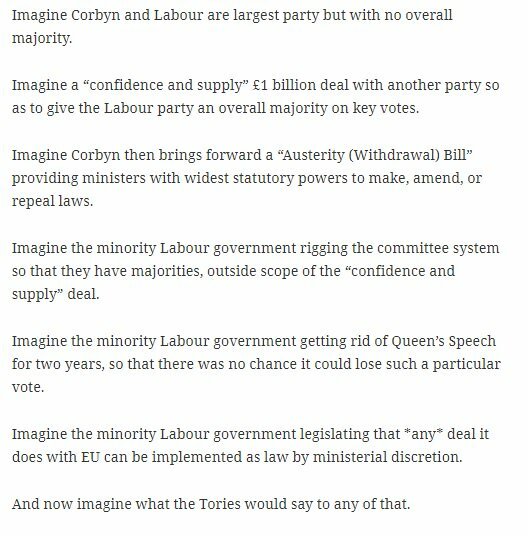 So…would we see the UK as more of a “one party state” than Scotland? so Redgauntglet can speak five languages. I`m impressed. My pal has a parrot that can swear in six! (not that it necessarily understands a word). Robertson I didn’t say I could I speak five languages, I wrote that I could read them..
Read, Roberston, read….you don’t even know how to read, dear contrarian…. Redgauntlet – you can, with my best wishes, have the last word. (since it obviously means something to you). You may indeed read five languages. But this site is in English. “Contrarian”? No such word in my giant Collins dictionary. Aye, you have The Collins and I have The Oxford which is where it has always been at for English…. …a Brexiteer who doesn’t know the word “contrarian”….which is ironic, eh?